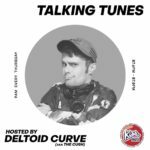 Talking Tunes is a weekly radio show which dives deep in to dance music. Exploring what inspires artists to push boundaries and innovate in their field, revealing the story behind the groove. 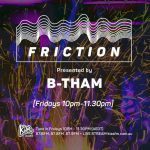 Every week we feature special guests from all corners of the music scene and the globe, talking to us about the tunes that move their bodies and their souls. 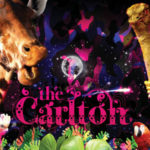 Hosted by one of Melbourne’s most eccentric and diverse producers/performers, Deltoid Curve (aka The Cush). A seasoned music nerd with a passion for everything electronic… Then on the road, we have our show producer Timothy Weston giving you the latest local and international music news plus events and special reports. If it involves tunes… we’ll be talking about it from 9am every Thursday on Kiss FM!